The project seeks to identify Global Wealth Chains that are the articulation of organized activities between individuals or international entities, developed countries, developing countries, and tax havens. The project investigates and specifies how capital moves between developing countries and offshore jurisdictions, and how microstates might transform their role while preserving strategic capacity. First, we provide a comprehensive taxonomy of the Global Wealth Chains that facilitate capital flows between tax havens, developing countries, and developed countries. Second, we investigate the variety of ways that developing countries are linked to tax havens. 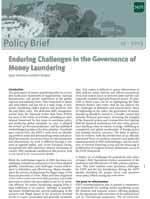 Third, we will analyze the impact of anti-money laundering regulations on developing countries. 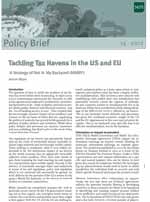 Fourth, we evaluate the impact of on-going regulatory initiatives and regulatory changes upon tax havens and developing.